I was perusing my libraries audiobook shelves when I came upon this book. It was short and I love a good historical book. The past fascinates me and I love to get a picture of life back then. 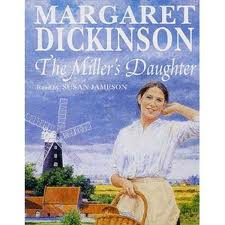 This story starts out in 1918 with Emma working on the family Mill.Her father doesn't want to matter her intended fiance because he thinks he's just after the Mill.My heart really went out to Emma. She was never good enough for her father. Throughout Emma's life she is dealt the hard card. She's married a man who doesn't love her, gambles all their money away and doesn't take care of her like he should. He's just after the Mill. The reason she wasn't allowed to marry Jamie in the first place. She just keeps going and going. The ending storyline was quite a surprise to me and I was hoping everything would turn out right. Emma deserved so much. It seemed like she just kept losing everything and everyone dear to her. It was time her had some happiness. I love this time period and I love reading about women's hardships. It was easy on the ears and short too. I love me a short audiobook!